Tankoa Yachts, the “boutique shipyard” based in Genoa announced a new addition to their range with the presentation of the S801 (80m) concept, confirming their markedly innovative stance in the super and mega yacht sector. With the S693 just about ready for delivery to her owner in July 2015, alongside the S701 and the S501 projects, the sophisticated design work continues on the latest and largest of the yard’s models – the S801. The Tankoa S801 is a concept design based on an 80 meter long platform, extendable to 88 meters. She will have a beam of 13.50 meters, with a 2,500 gross tonnage in its 80 meter version. 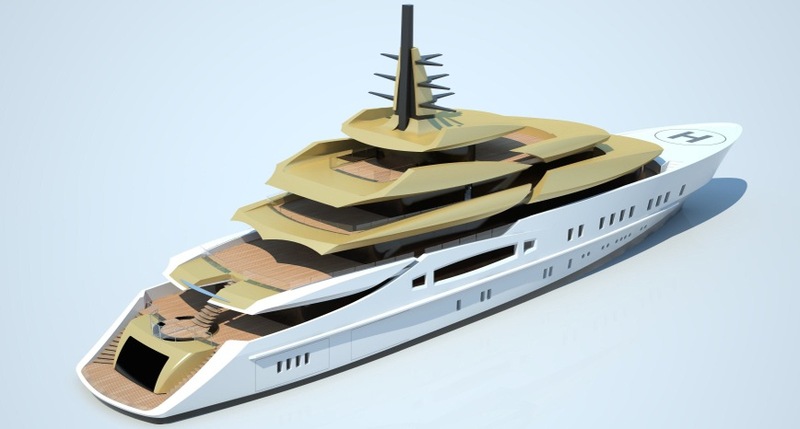 The main deck will take advantage of the yacht’s full beam, providing maximum volume in this size segment. Boating enthusiasts looking for a tan will be happy to know that the Tankoa S801 will feature four decks plus a sun deck. An enormous main deck lounge will welcome guests aboard, while the five VIP cabins with in suite baths will be located in the fore part of the main deck to maximize silence and comfort (in line with the 70 meter design philosophy). The owner’s gigantic suite will be located on the upper deck aft section. His apartment will consist of a grand “bedroom” with two walk-in closets, a massage zone, private SPA/Sauna, personal office and a spacious bathroom. With advanced structures and applied technologies Tankoa Yachts intends to build one of the world’s most innovative yachts. The hull will be made of high tensile steel, with a light aluminum alloy superstructure. Other state of the art technologies, such as titanium reinforcements, presently under study, should be part of the package. The S801 concept project will be completed in the next few months with further development of technical specifications, principal system layouts and engineering.